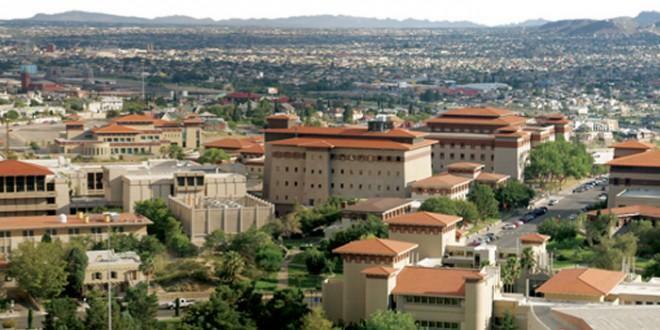 The University of Texas at El Paso experienced a significant increase in total enrollment for the 2017-18 academic year, jumping from 23,922 students in fall 2016 to an all-time high of 25,078. In a climate of decreased education funding and falling enrollment at many institutions, UTEP’s enrollment increased for the 19thconsecutive year. The 4.8 percent increase is the largest at the University since the fall of 2010. UTEP Vice President for Student Affairs Gary Edens, Ed.D., credits retention efforts with contributing to the trend of increased enrollment. He said the hard work of the faculty and academic advisers has helped make sure students are moving successfully toward their degrees. In addition, Edens believes students recognize the value of a UTEP education. Edens believes efforts like the University’s new student success initiative – the UTEP Edge – will continue to improve student retention. The UTEP Edge fosters lifelong success for every student by way of dedicated curricular and co-curricular programming that encourages students to develop their talents and strengths through a variety of high-impact experiences created and delivered by faculty, staff, alumni and community partners. Ranging from undergraduate research and civic engagement to study abroad and on-campus student employment, these experiences increase confidence, enhance personal and professional skills, and equip students with a competitive advantage – a UTEP Edge -- when they graduate and enter the workforce or pursue a graduate degree. Learn more at utep.edu/edge.